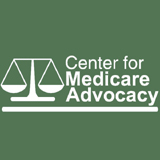 The Center for Medicare Advocacy adds our voice to those concerned about the nomination of Judge Brett Kavanaugh to the United States Supreme Court. As a public interest law organization committed to fair access to quality health care, equal rights for all as we age, and due process, the Center has serious reservations about this nomination. Judge Kavanaugh’s lengthy record on the D.C. Circuit Court of Appeals does not bode well for the millions of families who rely on critical health care programs and our Constitutional form of government. For example, in Seven-Sky v. Holder, 661 F.3d 1 (D.C. Cir. 2011), Judge Kavanaugh dissented in a 2-1 decision that affirmed the constitutionality of the Affordable Care Act, maintaining that the challenge against the Act could not be heard before the individual mandate’s tax penalties took effect. Just as concerning, Judge Kavanaugh stated in his decision, “the President may decline to enforce a statute that regulates private individuals when the President deems the statute unconstitutional, even if a court has held or would hold the statute constitutional.” 661 F.3d at 50 n.43. This statement raises serious concerns about Judge Kavanaugh’s commitment to ensuring the judiciary continues to serve as an equal branch of government to the executive branch, and as a check and balance to the President. The Supreme Court will decide myriad important cases in the years ahead, impacting the well-being of the country’s most vulnerable citizens and residents. It is critical that judicial nominees – especially those to our highest court – are committed to protecting and enhancing access to quality health care, not to advancing powerful and corporate interests. As advocates for older adults and disabled people, we oppose any threats – legislative, executive or judicial – to Medicare, Medicaid, the Affordable Care Act and due process of law. Thus, the Center for Medicare Advocacy must also oppose this nomination.